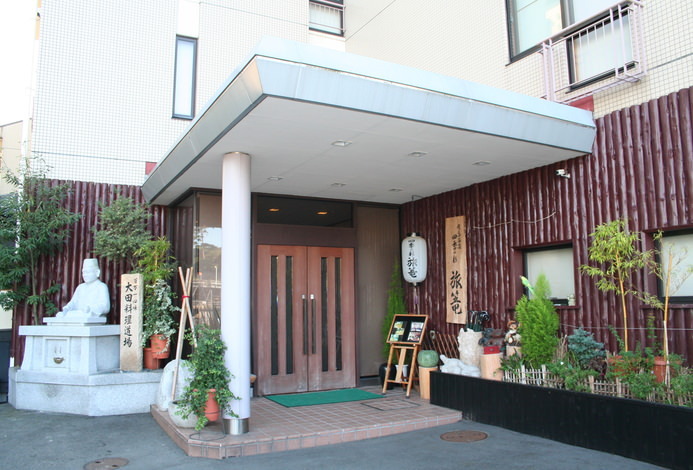 In 2014, 60 years since its establishment, Miyuki-so opened a small new ryokan under the name Kotori. Whilst reasonably priced, we have prepared a space where you may take advantage of enjoying Arima. The are only 6 Japanese-style and 2 Western-style rooms each with its own distinct design. It is also possible for you to reserve one whole section of the premise for a completely private experience. The baths come in Japanese and Western-styles allowing you to enjoy the distinct flavor of each of the four seasons. 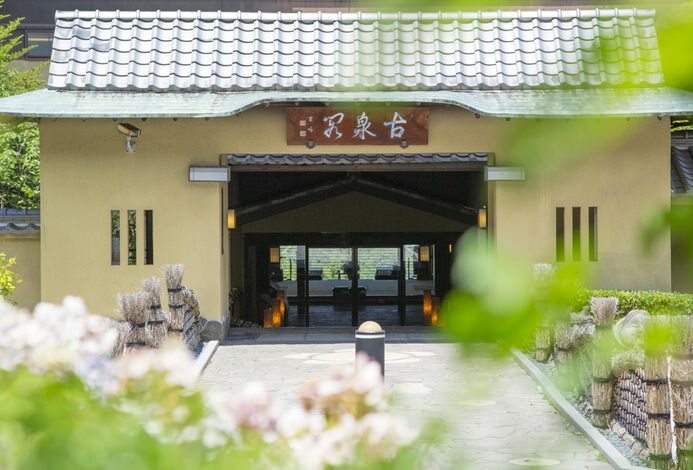 We offer ginsen, a rarity within Arima, which is known as Japan's oldest hot spring. You may also bathe in the kinsen at our sister ryokan, Miyuki-so Hanamusubi. We offer set meals stuffed with Japanese hospitality. The meals are not only delicious but also beautiful. 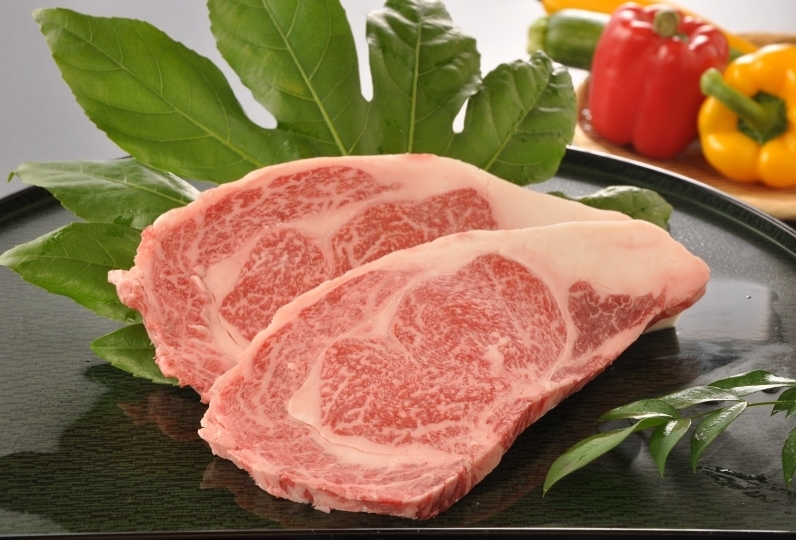 You can enjoy Kobe's very own local seafood as well as Kobe beef teppanyaki. Travel as you were living in the rich atmosphere that is Arima. Come and enjoy your very own Arima retreat. I was able to enjoy the best trip! ! ! The facilities are very good except that the toilet was not in the room. There were new things, and hot springs were also good in two kinds, Money Yu and Ginza. Paula 's goods are prepared and very satisfied. It was good. There are 2 types of Bath: "Kotono-Yu" in Japanese style rooms and "Suzuno-Yu" in Western Style rooms. Enjoy the seasonal essence of each atmosphere. Baths are equipped with a hand-rail for additional safety. High-grade amenities are also on site. 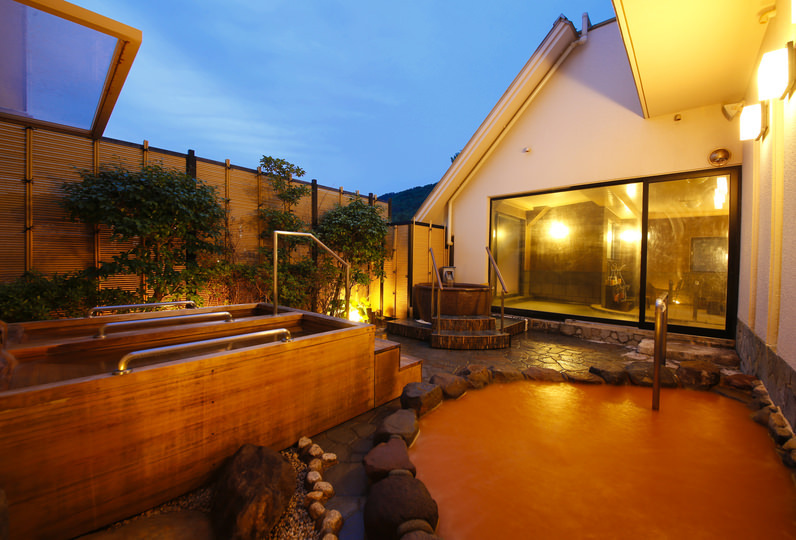 Guests have free access to public spa and outdoor spa in our sister ryokan, hot-spring inn "Hanamusubi". Guests are served with Black soybean tea after bath. A hot spring source for 'kinsen' (yellow-brown springs containing iron and salt). Located within Tenjin shrine sacred to the memory of Michizane Sugawara. You can witness a constant flow of steam rising from the hot spring source. Upon close inspection, you may notice that Arima hot spring contains iron and sodium. There is an array of philatelic material on display including the world's first stamp and first Japanese hand-carved stamp. On display you may find traditional German wooden toys, building blocks, string puppets, and a model railway. When Shu Ming Emperor · Emperor Kakude was happily visited Arima Onsen, it was begun to be enshrined as the guardian deity of the Sugigawa Valley Palace. You can overlook the scenery of hot spring town. Payment is only cash. Please note that payment with credit card can not be done. * from Shin-Osaka station to Osaka station/ from Umeda station to Takarazuka station/ from Ashiya station to Arima Onsen. * from Shin-Osaka station to Osaka station/ or  from Umeda station to Arima Onsen. * or  from Shin-Osaka station to Arima Onsen. # There are two types of express buses; one operated by JR, the other b Hankyuu. Tickets for both may be purchased 1 month in advance. We recommend booking in advance as seats sometimes sell out. *  from Sannomiya station to Shinkaichi station, then  to Arima Guchi station, followed by  to Arima Onsen. * from Sannomiya station to Shin-Kobe station, then  to Tanigami station, followed by  to Arima Guchi station and, finally,  to Arima Onsen. * from Sannomiya station to Ashiya station, then  to Arima Onsen. *  from Sannomiya station to Arima Onsen. There are two kinds of express buses operated by JR and bus lines operated by Hankyu Shinki. JR high-speed bus can be purchased in advance "Reservation released one month before boarding". If you do not have a reservation you may not be able to get on with a full seat etc, so we recommend you book in advance when using the bus. 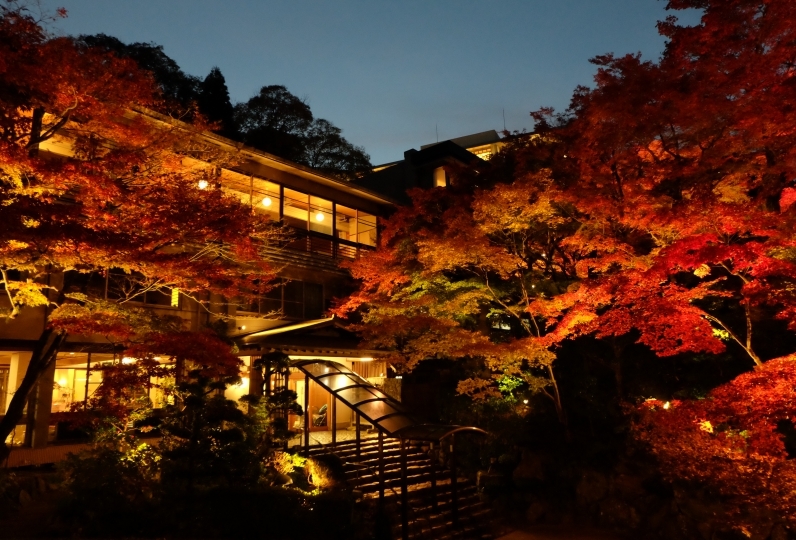 ※ When you arrive at Arima Onsen we will pick you up if you call us. In addition please understand that pickup is within Arima Onsen. Telephone number is 【TEL: 078-904-0166】. We do not do booking shuttle. Thank you for your understanding.